Planning for the future helps ensure that you will be able to live comfortably and happily when the time for retirement comes. It will also give you safety and security before you retire, which can allow you to pay for large costs like college tuition, medical procedures and even events like grand weddings. The tricky part is knowing not only how to save your money but also where to invest it so that your funds grow at the right rate. That’s where a financial adviser and planner can make the difference. They can teach you the principles you need to save money while maintaining your quality of living, guide you to make the right investments and help you plan out your future so that you can pay for all those expected and unexpected expenses. The first thing that any financial adviser will do is to help you look through what you currently have in terms of assets and debt. They will then talk to you about clearing any debt that you have before you begin setting realistic and obtainable personal finance goals. The second step they will address is creating a plan to help you meet your future financial goals. You’ll work with your adviser to establish a timeline and a way to measure your progress towards successfully meeting your goals with actions, such as depositing a few dollars into a savings account every week, that will ultimately push you toward the funds you need. Your adviser will then converse with you about the various investment options available to you while covering the challenges that each pose. 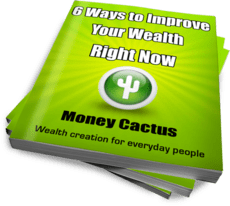 This will help you make a sound investment that should help you grow the amount of funds you have in your savings account, which means that you will be required to save less so long as your investments grow. The last step in setting up your financial plan entails putting it into action. Your financial planner will then help you put your plan into action while monitoring it in the event that some alterations need to be made. Financial advisers can help you put a plan into action that will help you save the money you require for the future. While you can do this on your own, professionals provide the help and insight required to give you the best chance at maximizing your savings over a prolonged period of time. If the time ever comes that you need to change your financial plans, they’ll be there to work with you. Click here to find a trustworthy and professional financial adviser in Columbia, South Carolina.